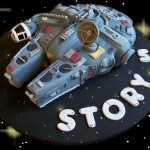 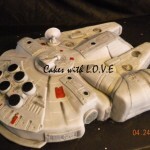 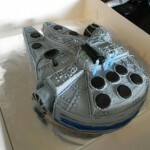 It seems like every Star Wars fan wants to have a Millennium Falcon cake at some point in their life because this is the sixth Millennium Falcon cake I have posted in the past year or so. 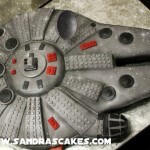 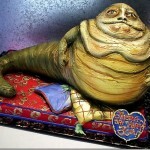 This cake might not be as impressive as the Millennium Falcon wedding cake I posted last year at least as far as realism goes, but this is definitely one of the better color jobs that I have seen on a Millennium Falcon cake. 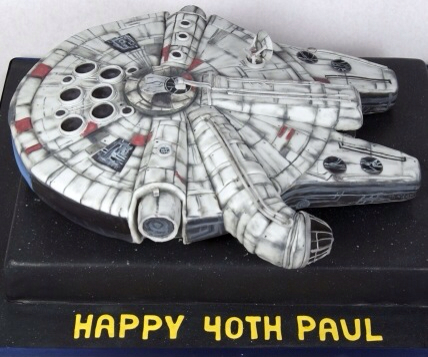 This cake was made by For The Love of Cake for somebody named Paul’s 40th birthday and I would say it was a happy birthday indeed!